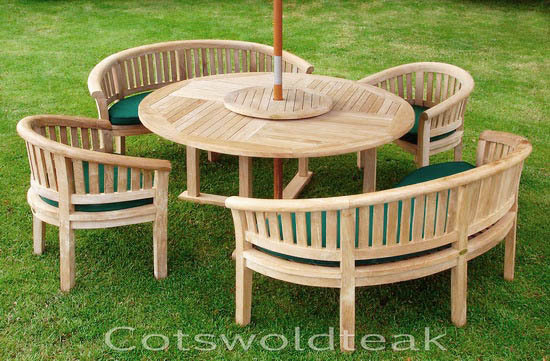 Large 6/8 seater teak round table consisting of a 150cm round table with 28mm thickness top, two curved banana shaped benches, two curved shaped chairs and a 3mtr parasol available in Green. 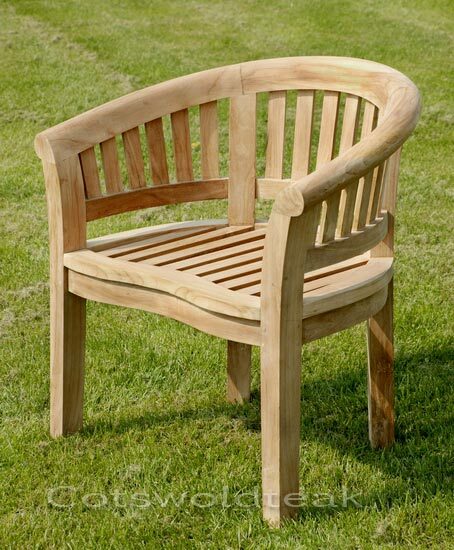 This large garden furniture set is extremely comfortable and will provide years of enjoyment and use. 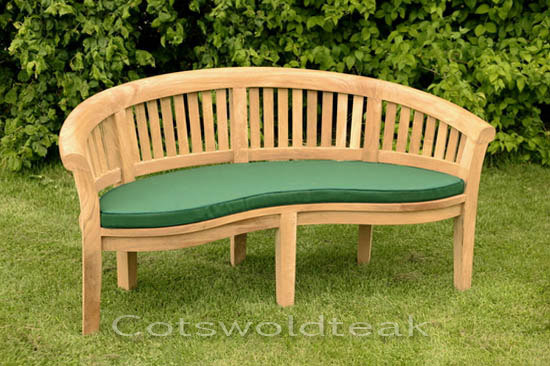 Looks great in the garden and you can use the benches throughout the year. Teak Oval Extending Table Seating 6. Discounted price includes Cushions, Parasol & 6 Chairs of your choice. 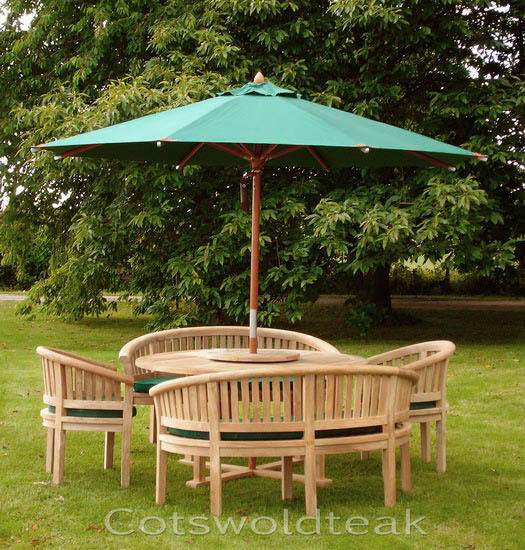 Click the button below to add the Round 150cm Table with Banana Benches & Chairs Set: 5ft fixed round table 28mm Thick Top, 2 Benches, 2 chairs, 3m Parasol to your wish list.